CT Cloud Platform provides stable, scalable cloud service based on OpenStack, combined with telecom features and enhanced end-user service delivery. CT Cloud Platform is focused on Cloud+Network Integration technology for large scale cloud. 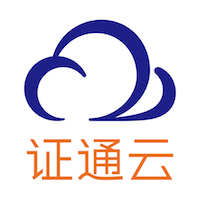 ZTCloud is a cloud computing brand under SZZT Electrionics.co Ltd , focus on IDC and smart city. ZTCloud provides a secure, reliable, on-demand, real-time IAAS&PAAS platform services. Uniquely co-engineered together with Red Hat Enterprise Linux to ensure a stable and production-ready cloud, Red Hat OpenStack Platform provides an open, scalable, and secure foundation for building a private or public cloud. PRIMEFLEX for OpenStack is the most reliable way to deploy a highly flexible and cost-effective OpenStack private cloud IaaS platform. The integrated system is built from Fujitsu hardware and OpenStack software, either from Red Hat or SUSE. WhiteCloud OpenStack includes key features for the quickest time-to-market, with a highly stable containerized platform for production environments, performance tuning for NFV, and skilled localized services oriented towards automated operations. The Dell EMC Ready Architecture for Red Hat OpenStack Platform simplifies and accelerates deployment. Dell EMC delivers design guidance to help deploy and manage Red Hat® OpenStack® Platform on Dell EMC hardware and reduces time to manage NFV. InCloud OpenStack is a smart cloud operating system designed for the next generation of cloud data centers and cloud-native applications, based on the principles of openness, integration and security. Cloudbase Solutions Hyper-Converged OpenStack is based on Windows Nano Server, Hyper-V, Storage Spaces Direct and Open vSwitch for Hyper-V, providing a turnkey and fully automated enterprise cloud solution on commodity hardware with leading TCO. vScaler enables you to build your cloud infrastructure with all the benefits that come with cloud technologies but within the security and control of your own data centre, with the option to migrate and scale your workloads out into our public cloud. ZTE TECS OpenStack is the most flexible and open distro of OpenStack with ZTE deep thoughts of telecom industry. It provides open, reliable and agile cloud OS for enterprise and carrier customers to deploy public, private and hybrid clouds. SUSE OpenStack Cloud is the enterprise private cloud solution of choice. Designed for HA, rapid deployment and ease of use, along with the widest hypervisor support and interoperability, it delivers the agility and control to drive innovation. FusionSphere OpenStack combines the open-source OpenStack and Huawei deep understanding of telecom industry, created an open, agile, reliable cloud OS for enterprise and carrier customers to deploy private cloud, public cloud and hybrid cloud. Mirantis OpsCare enables you to focus on your business while we focus on your cloud environment. Our unique delivery model includes operational and SLA monitoring, automated deployment, scaling, and failover, and CICD for Infrastructure as Code. H3Cloud OS combines OpenStack, provides users with fully functional cloud business service platform through efficient resource management model, flexible automation scheduling ability and extensibility of system architecture. With AWcloud OpenStack Distribution, you are able to deploy zero-lock-in clouds, giving you the reliability and the flexibility you expect, pure-play, anchored in upstream, backed by commercial support and the hybrid virtualization technology. DevStacks core value is that it will always let you use effective and strong cloud system for your business. At DevStack, our solutions are founded on building out clouds with that transparency, and we submit all code changes back upstream. UOS 4.0 is a full-function OpenStack Pubic, Private and Managed Private cloud. Its major differentiated features include VPC networking based on Neutron, high performance provisioned IOPS of block storage based on Ceph and a user-friendly console. SwiftStack powers enterprise customers with a durable, massively scalable, software defined object storage platform that seamlessly integrates with existing IT infrastructure and manages any standard hardware across multi-geographic data centers. Platform9 makes it easy to run a production grade OpenStack cloud using your internal server infrastructure. Our unique OpenStack-as-a-service solution supports new or existing deployments of KVM, VMware vSphere and Docker. A free trial is available. VMware Integrated OpenStack VIO is an OpenStack distribution supported by VMware. With VIO, customers can rapidly deploy a production-grade OpenStack cloud on top of VMware technologies, leveraging their existing VMware investment and expertise. Titanium Cloud™ is the industrys only fully integrated, ultrareliable, deployment-ready portfolio of virtualization software platforms, designed for the rigorous demands of critical infrastructure such as telecom networks and industrial control. Ultimum OpenStack provides a complete IaaS solution. The platform is based on stable and tested OpenStack version and includes multiple SDN backends and complex monitoring system. T2Cloud OS is a trusted cloud OS based on OpenStack, helping enterprise users deploy IaaS and PaaS solution by models of private and hybrid. It’s successfully been delivered in multiples industries in China, recognizing the value of OpenStack. Mirantis Cloud Platform MCP is a unified open cloud software stack for managing Bare Metal, VMs, and Containers. MCP includes OpenStack for bare metal and VMs, Kubernetes for containers, Ceph for storage, DriveTrain for LCM, and StackLight for OSS. Animbus Cloud OS is a hyper-converged system with enhancements in HA, storage, security, SDN, workflow and UI. It is an ideal one-stop solution for enterprises looking for an easy to implement, robust, and secure cloud system without vendor lock-in. Lenovo ThinkCloud OpenStack is a cloud operating system used to manage various computing, storage and network resources of the data center. ThinkCloud OpenStack can provide large-scale, stable and reliable cloud computing environment.